Arthur A. Levine Books, 9780545128100, 40pp. Mr. Walnut just might be the world's meanest pet shop owner! His pet shop is cold and dark, and the animals all live in very small cages. When a little girl named Mina can't find her pet bunny, she's sure that she must have gotten scooped up by Mr. Walnut. Can Mina save her beloved pet and lead the other animals to freedom? 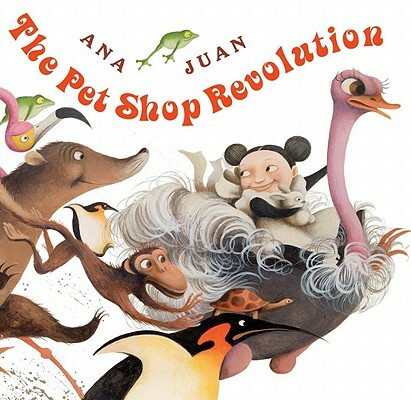 Ana Juan illustrated Frida, Jonah Winter's picture book biography of Frida Kahlo, which was an ALA Notable Book and received an Americas Honor Award. She also received the Ezra Jack Keats award for The Night Eater, her first book as author-illustrator. She lives in Madrid, Spain.